$30.00. ($35.00 including postage to anywhere in New Zealand). When novelist and artist Jennifer Maxwell first travelled in search of the City of Light and La France profonde she discovered something else entirely. Her appalling ignorance. In France she was une idiote. Twenty-five years later she is still an idiot but a very well- informed one, particularly in her chosen field – the untranslatable and quintessentially French national pastime called brocante. Brocante: nf. Brocante can mean a rusty wayside cross in a cluttered yard in Chinon or a pile of musty linen in a troglodyte cave in Brantôme. It is the jam-packed streets of Lille in early September or a field full of vans in the back of beyond. It is a state of mind and a way of life – a time to clear out the attic, a day out for the family, an opportunity to find something wonderful or useful or completely daft. Above all, it is a place for travellers to meet the French on their own terms, and to strike a deal that enriches them both. For almost twenty years, Jennifer and her only slightly less idiotic husband Geoff, have travelled the highways and byways of France, sourcing brocante and antiquités for their shop in the historic French village of Akaroa, New Zealand. They now host small tours in the Loire and the Languedoc, visiting brocanteurs, antique dealers, markets and consignment stores, and shipping their clients’ purchases home. This is an account of their long, bonne affaire with France; an entertaining record of their first group of Kiwi treasure hunters and a tribute to those who bravely followed. 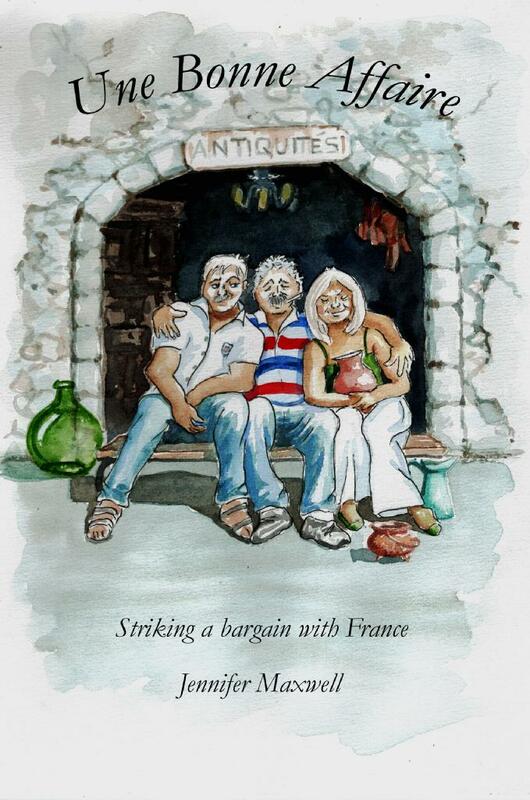 Originally conceived as a means to inform, inspire and amuse their guests this book remains the definitive guide to finding and buying brocante for all those who wish to strike a bargain with France.